May the blessings of Easter be upon you! I don’t have a project of my own to share today – rather a project to share from the talented (Cricut and Silhouette) Diane Hodrick from A Day in the Life of a Horse Bunny. She created this tag using Art Philosophy and, most importantly, her wonderful design skills. 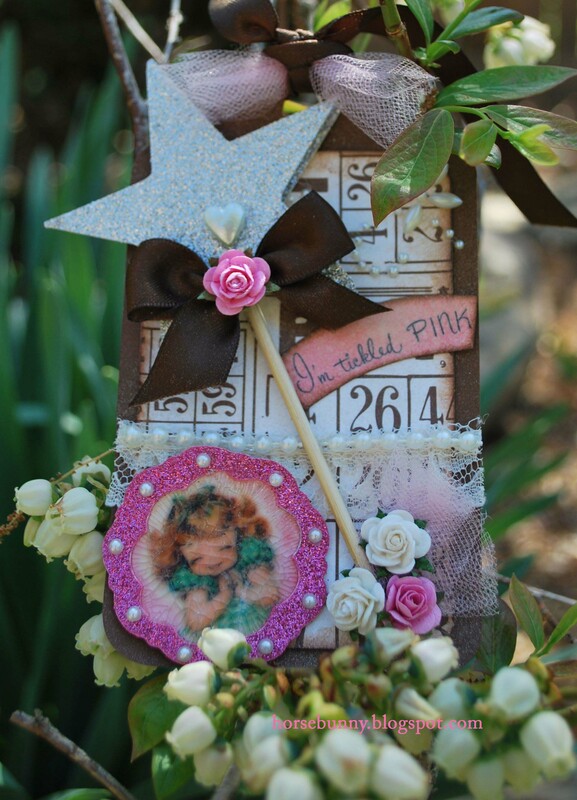 It’s simply breathtaking in one of my favorite color combos of brown and pink. As you can see, the details are amazing – I love the UTEE embossing, the pearls, the bits of tulle and lace, and of course, the magic wand. Diane is more than a talented crafter; she has the heart of a lion in all that she does as a mom, military wife, and nurse. I am fortunate to include her in my circle of friends. If you are as enthralled by this tag as I was, please leave a comment for Diane here. What a cutie! The tag is wonderful too. I am so embarrassed by this sweet post. You have touched my heart, and it’s making my eyes leak. 😉 Thank you so much for the wonderful words, and the picture you took is amazing. These Lillies of the Valley took my breath away for a second when they jolted a memory. They used to cover the fence at my house when I was a kid. I remembered going outside and standing by the fence just to smell these tiny flowers. I used to call them snow bells until my Mom told me what they were. I always like snow bells better. Now my eyes are really leaking. Your outdoor pictures are always so beautiful. Makes me wish I was in that magical yard. Now for the most adorable part of your post. Your Easter Bee is so cute! What a beautiful photo. How ever did you get her to wear that headband? My dog, Buddy, who has been with us for many moves over 11 years is a Border Collie/Lab mix. He is the smartest, sweetest, most loyal and protective dog I have ever met. He joined our family as a one year old from a pound out in Oxnard, California. He has provided lots of love over the years. I can see the similarities in their faces. What a beautiful animal! From one lion’s heart to another, thank you for making my day! Hope your Easter was a blessed one. LOVE the bee!!! Though Cousin Gertrude says what??? lol. Gorgeous tag. Hope your Easter was a lovely one. 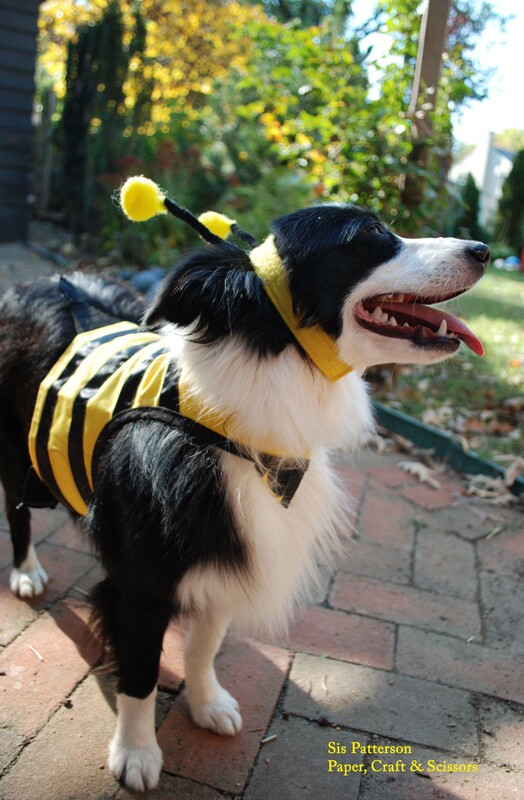 OMGosh what an adorable bee! Looks like you are ready for spring for sure! I hope you had a great Easter. Now I am off to visit Diane’s blog to see that tag again. Just beautiful! !